YUL - capacity reduced from daily B 772ER to daily B 763ER. YYZ - capacity reduced from double daily B 772ER to daily B 763ER + daily B 772ER. BA also announced that it will be increasing capacity to Accra, Ghana for the IATA Winter season by replacing daily flights flown by a B 763ER with a larger B 772ER. ORD/BRU - capacity reduced from daily B 772ER to daily B 763ER. ORD/LHR - capacity reduced from triple daily B 772ER to daily B 763ER + double daily B 772ER. ORD/MAN - capacity reduced from daily B 763ER to daily B 752. ORD/DUB - capacity reduced from daily B 763ER to daily B 752. ORD/DME - all flights suspended for Winter season, shall resume in Summer 10. ORD/FCO - all flights suspended for Winter season, shall resume in Summer 10. JFK/EZE - frequencies reduced from 11 weekly nonstop flights to daily nonstop flights using a B 772ER. JFK/MXP - frequencies reduced from 5 to 4 weekly nonstop flights using a B 763ER. JFK/CDG - frequencies reduced from double daily to 12 weekly flights using a B 763ER daily + B 752 five times weekly. JFK/ZRH - frequencies reduced from daily to 6 weekly nonstop flights using a B 763ER. JFK/GRU - capacity reduced from daily B 772ER to daily B 763ER. JFK/BCN - capacity reduced from daily B 763ER to daily B 752. MIA/MAD - capacity reduced from daily B 772ER to daily B 763ER. DFW/LHR - capacity increased to double daily B 772ER from daily B 763ER + daily B 772ER. BOS/CDG - all flights suspended. RDU/LHR - frequencies reduced from daily to 6 weekly flights using a B 763ER. Air India has officially confirmed that it will be further increasing capacity to Jeddah, Saudi Arabia from September 2009 by utilizing the larger Boeing 747-400 on all its Mumbai-Jeddah and Delhi-Jeddah flights as well. As a result, daily BOM-JED services will be increased from a mixture of B 772As and A 310s to daily B 744s where as DEL-JED flights that are currently flown 3 weekly nonstop using a B 772A will also get a capacity boost to 3 weekly B 744s. This aggressive move by AI is seen to be directly aimed at hurting Jet Airways on the BOM-JED route in particular as well as going all out to protect this highly profitable route of theirs which still lacks direct competition due to the restrictive Saudia-India bilateral accord. With regards to its BOM-RUH route, AI will be flying it 6 times a week using a B 744 as well. PIA of Pakistan has officially disclosed to the media at the Paris Air Show that it is in the final stages of placing a major order worth US$ 2 billion at list prices for 27 Airbus A 320s or Boeing 737NGs. PK's Chairman said that he moves to finalize the order by the end of 09 and said that the order will consist of 9 firm aircraft to be ordered directly from the manufacturerer + 9 from leasing firms + 9 options. He said that this order will be a direct replacement for PIA's ageing fleet of 6 Boeing 737-300s as well as some of its Airbus A 310-300s. So basically 18 more aircraft max are to be inducted which technically means a one to one replacement of PIA's fleet of 12 A 310s + 6 B 737-300s. Now if this order is meant to be a direct one on one replacement for PK's entire fleet of A 310s and B 733s, then it is going to be a big costly mistake as PIA need a medium density 230 seater plane for European, Saudia, Far East and UAE routes flown from Pakistan as a narrow body aircraft are too small for all these routes + cannot fly some of them nonstop from Pakistan. 4 A 319s for low density domestic + international flights to MCT, DOH, BAH, Iran, DMM and AUH from Pakistan. 5 A 332s for PAK-UAE, PEW-RUH/JED, PAK-SE Asia, PAK-EU/GLA. The A 332 is needed for PAK-UAE/SE Asia and PEW-Saudi routes because of the extra revenue that can be generated with 12 tonnes of cargo being carried in the belly. This is why PIA kept the AB4s in its fleet for so long specifically for PAK-UAE/Saudi routes due to the extra revenue that this aircraft could bring in with cargo carried in its belly. 2 A 333s for LHE/ISB-JED/RUH routes exclusively as this aircraft type is an ideal one to use on high density medium haul flights. 7 A 321s for PEW-RUH, KHI-BOM, KHI-DAC, KHI-KTM, ISB-BKK, LHE-BKK, KHI-DEL, PEW-AUH, PEW-KWI, ISB-KWI, ISB-DMM, LHE-KWI, LHE-DMM, LHE-MCT, PEW-MCT + high density domestic routes from KHI to PEW/ISB/LHE vice versa. a) Qatar Airways announced an order for 20 A 320s + 4 A 321s. b) Turkish Airlines announced an order for 5 A 333s + 2 A 332s + 1 B 773ER (4th aircraft to be leased from 9W). c) Paramount Airlines of India announced a MOU for 20 A 321s. d) China Eastern Airlines announced an order for 20 Airbus A 320s. e) Wizz Air, a low cost airline based in Central Europe signed an order for 50 A 320s. f) Air Asia X, the long haul division of Air Asia placed an order for 10 A 359s + 5 options. g) Vietnam Airlines placed an order for 16 A 321s and signed a MOU for 2 additional A 359s. h) KLM placed an order for 7 ERJ 190s. One wonders on what routes TK plans on using its A 333s on as it will have within 6 years time a wide bodied fleet consisting of 2 engined aircraft only i.e. B 77Ws + A 333s + A 332s as one expects their A 343s to be retired within 4-5 years time max. The only routes that TK would likely use the A 333 to are LHR, FRA, BKK and CDG. TK too is embarking on a study to see whether or not it would be feasible to introduce a premium economy cabin on board its A 330 and B 77W fleet. With regards to the QR order, they have also revealed that all their A 320s from this winter onwards will be gradually getting tv's installed on all seats in business and economy class to help improve its overall in-flight product on these narrow body aircraft. Industry insiders believe that this significant order for 20 A 320s has been placed with a clear intention to possibly launch a low cost carrier from its DOH hub to regional destinations but with offering a better 'value for money' product compared to its rivals such as Bahrain Air, Al Jazeera Airways, Air Arabia and Fly Dubai. As far as the Paramount order is concerned, it is very pleasing to see an Indian carrier take a cautious approach for its international expansion plans and not order wide bodied aircraft just for prestige and status symbol purposes which many Indian carriers did at the 2005 Paris Air Show. The A 321s ordered by Paramount are ideal aircraft to be configured in a 2 class configuration to be used on high density domestic flights to BOM and DEL as well as high density international flights to CMB, SIN, KUL, DXB, AUH, MCT and KWI all flown from its MAA hub. Etihad Airways has officially revealed that it will be reducing capacity to DME-Moscow for the IATA Winter 09-10 season by flying the route on a daily basis nonstop using an Airbus A 319 rather than an Airbus A 330-200. No official reason has been cited by the carrier for the move though it is seen by many to be more cautionary approach as the route is relatively new. 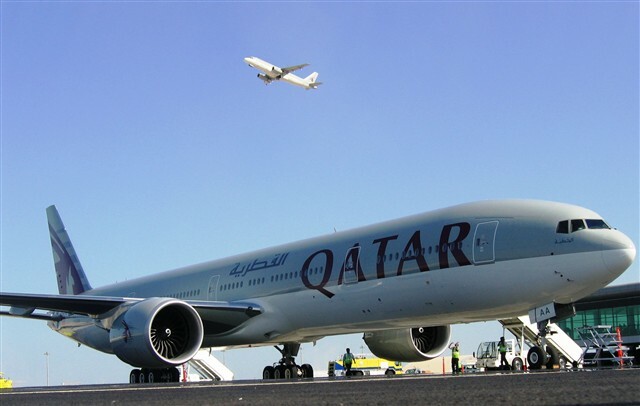 Qatar Airways has officially announced that it will be launching new nonstop flights to Melbourne, Australia from Dec 6th 09 using a B 772LR from its Doha hub. Initially, the flights will be flown 3 times per week and then increased to a daily frequency a month later. However, no announcement has been made as yet with regards to when it will be launching its Sydney service. Singapore Airlines has officially revealed on the GDS that it will be increasing frequencies to MNL-Manila, Philippines from July 10th by launching a new 4th daily nonstop flight from its SIN hub. As a result, SIN-MNL flights will be flown triple daily using a B 772 and a daily B 773A. Lufthansa has officially announced that it will be increasing capacity to LOS-Lagos, Nigeria for the IATA Winter season by replacing a daily service currently operated with a mixture of A 333s and A 346s to a daily A 346. This is in part to the huge amount of premium and cargo traffic that the carrier gets on this route bound for Asia and Europe. 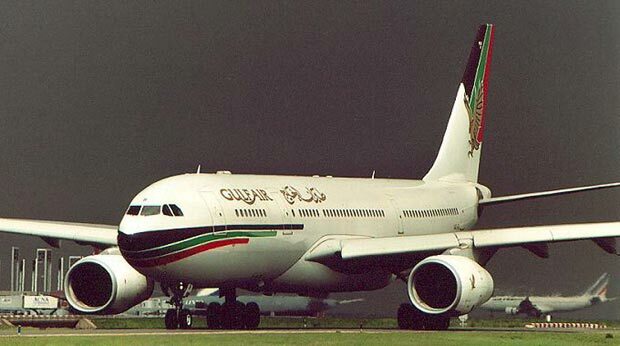 Gulf Air has officially revealed that it plans to lease out 2 of its Airbus A 340-300s under a long term arrangement with an interested airline as the carrier looks to gradually withdraw this plane type from its fleet due to its higher operational and maintainenance costs. No airline has yet been identified though Air Asia X has declared that it is scouting the market biligerently for used A 343s to fuel its rapid long haul international expansion. Other airlines that could possibly be approached are Arik Air of Nigeria and Aerolineas Argentina.